The Monster in Santa's North Pole Workshop! With your great suggestions, I decided to try Scunner on another job. I wanted him to double check the naughty and nice list. This is a VERY important job! I made sure that he was in a room that had none of the things he was allergic to inside. I showed him the printer. I showed him the green pen for nice and the red pen for naughty. He put on his glasses and set to work. He started printing out pages and matching them to my book. He was being very careful. All the Nice children got a great big green checkmark. Scunner was doing a great job. So, I went to the workshop. Jumping Jingle Bells! The elves in the workshop were in a funny mood. Kissy the Elf told me that they had all stayed up late. They watched a scary film about an Egyptian Mummy. Now they were all tired and they were all a bit scared. I was a bit upset. The elves need their sleep so they can do their best work. The elves all said, “Sorry, Santa”. I can never stay angry at my elves for too long so I told them it was okay. I also asked them not to do it again. Everything was fine until after lunch. I was sitting in my office and I heard Kissy scream. My heart jumped and I ran from my chair. Kissy and Clumsy looked very frightened. ‘Santa, there is an Egyptian Mummy in the workshop!’ Kissy said. ‘It was moaning and walking about like this.’ Clumsy started to demonstrate. He stretched his arms and started moaning as he started walking. Silly Clumsy, he didn’t look where he was going and fell right into a present. Before I could laugh, I heard a noise. I saw a small figure. It was wrapped in white and wandering about outside. I am going to go outside right now. I will tell you what it is tomorrow. P.S. What do you think it is? Have you ever stayed up late to watch a scary film? You can click here to tell me about it or, scroll down to see what other people have written! SANTA CLUAS CAN I CALL YOU RIGHT NOW FROM JACOB. LET ME TALK TO YOU SANTA FROM JACOB. Santa are you almost to Maine delivering presents on corn hill rd? Santa my parents do not believe in you but I do!!!! Santa for Christmas I would like to have Disney frozen toys p.s. I love you santa. That was pretty funny when kissey said thay watched Egyptian Mummy.It was also pretty funny when Kissey was scared and had nightmares about Egyptian Mummy. Clumsy started to moan and walk that was pretty funny. i think it is scunner. i am scared if he is going to put me on the wrong list. Sorry about all the exclamation points! Just one this time. Now I am really going on Webkinz!!!! He He He!!!!!!! … !!!!! If you r scared of the Grinch you r crazy. I think it is the elves standing on each other to be bigger and dress up scary to scare other elves! Now I have to go check on my 41 Webkinz! I am sceard of the grinch. Oh I am so sorry Santa. :[.Call monster hunters if u have some.p.s.I want a new pair of boots!p.s.s.Monster boots.p.s.s.s not real monster skin. Hello santa i cant wait until christmas!!!!! wohhh! SANTA REALLY; A MONSTER AHHHHHHHHH!1!!!!!! I think it was the egyptian mummy, like Kissy and Clumsy told you about the movie they watched. I never remember staying up late to watch a scary movie! My mom never lets me. After all, I don’t want to end up on Santa’s Naughty List!!! I like chirstmas very much…… love u santa…. Are you ok in the northpole with your elfs are you poly or fine do you need help feding the radies and fling your slaye. 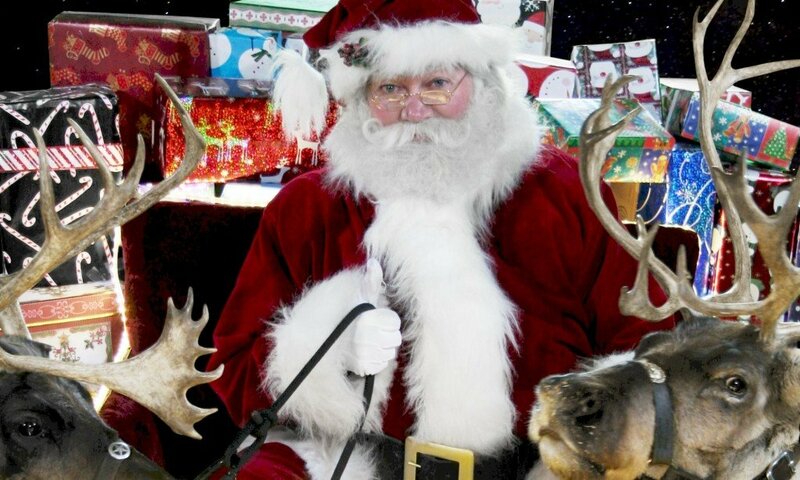 hey santa i hope i am on the good list because i help with the sick, on thanksgivig i feed the homeless, and on christmas i give gifts to the needy,such as: clothes, shoes, food, and much more. i know i can not provide for everyone but i give as much as i can to help people out. hi Santa!is kissy always like this?And tell the elves not to stay up and watch a scary movie!Its not a good idea! i think it is scunner because he might have got the tipper runing to fast and got wrapped like that. i dont know why he waled like that??? I think it is just other elves winding you up santa they are probably trying to scare kissy and clummsy. i think that one or more of the elves are trying to freck you out. i got scared because a girls doll became a ugly thing. more than all my other presents. I think it is a elf in white warpping paper. I watched a mummy film too!! It also was scarey and creepy!! Wow!It might be Scunner.I think it is and I have stayed up late! I think it was Scunner. He must have got himself all sticky and then he fell into a pile of paper. I hope you find out soon Santa! I have a feeling it was Scunner wrapped in computer paper. And no I have never stayed up late watching a scary movie although I have stayed up late to do paper work that I forgot to do. I am not very organized and forget to do my paper work a lot of times until the last second. Need to get better at that. I try watching scary movie’s at night. I just can’t do it. It’s way too scary. Your blot is not so bad I was just checking from the last e mail you sent me. One time I screamed in my sleep because I had a scary dream!!!! Santa, I know you love to give presents, but I remember every year, I give you one. Any Ideas of what I could make you? Love you! I think it was one of the elves messing about. Nothing to worry about Santa! Those silly elves. this is the funniest story! i do not do that because i know the next 24 hours i will be very super frightened. It started at 8:00 and ended at 12:00 it was called the scorpion king. i whatched sinster had nightmeres for weeks!!!!! I once (okay, twice) stayed up until midnight because I wasn’t tired. We once stayed up late to watch a scary Youtube Video called PINKIE PIE IS WATCHING. First of all,it was probibly scunner who made the other elves wach the movie.And i think it was scunner who scared them. That was one funny story Santa. will you send our elves? please ?! I think it was probbaly one of the elves wanting to scare you guys. Maybe Scunner got a little wrapped up on the lists! it is going to be a mummy for sure!!!! Oh, well i think it might be a snow monster! Maybe i am wrong, but that is ok! Thanks for your good story! maybe those elves should not watch scary movies at night or anytime of the day. because if they watch that movie again well you know what will happen! onces i sade up to 1 00 am in the moring and i though tere was someone in the house but it was my mom out side reading her book. i think its a elf playing a trike on u love you santa! i hope scunner is alright with that job. Can it be Scunner wrapped up in all the paper? I think it was scunner wrapped in the paper from the printer!!!!!!!!!!!!! Next PostNext The Mystery is solved!